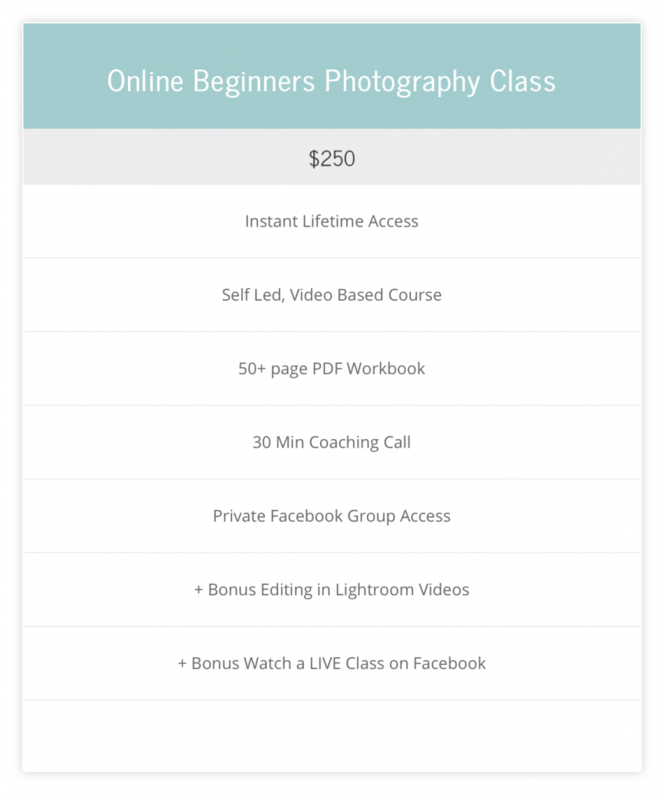 The Beginners Photography Class is an online class for beginner photographers who are ready to master their dslr camera and start shooting like a pro! Learn more about the course here or sign up for instant access below! If you’re local check out our in-person classes in Lexington, KY here! Once you complete the sign-up process, check your inbox for a welcome email with your username and password for instant online access to the class! If you do not receive your welcome email, please check your spam filter. Not there? Try using the “lost password” option here.